World title match remains tied after eighth consecutive draws. Standing on the platform at Holborn underground station in central London, a short walk from the World Championship match venue The College, two young Norwegians are in animated discussion about the game they have just seen, where challenger Fabiano Caruana - for the second time in three games - went close to knocking over World Champion Magnus Carlsen. 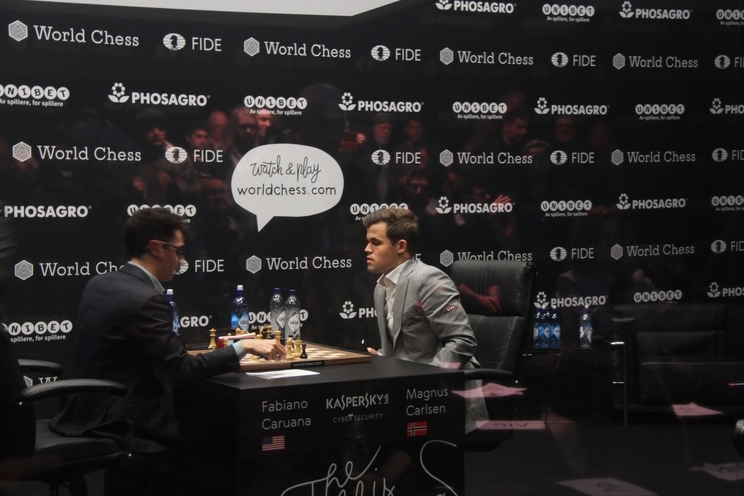 Carlsen here was in big trouble... incredibly enough he managed to get out and draw! 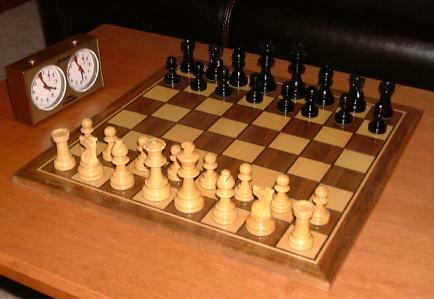 No, no - I am interested in chess, but in my case chess requires my attention and the past year has not allowed that. Perhaps we can do a game in week 9, then I am on holiday? I assure you, interest is there ! Anyway, you're right, there could be more movement/participation. It's up to all of us ! Don't worry, guys, it's complicated also here :) Let's hope for better times.